Congressman Ted Poe co-sponsored H.R. 180, the National Blue Alert Act of 2013, a bipartisan bill that would implement a national “Blue Alert” system throughout the United States in order to properly and promptly disseminate information when a law enforcement officer has been severely injured or killed in the line of duty. The Blue Alert would closely mirror the “Amber Alert” system, notifying law enforcement, media, and the public when a suspect is wanted for attacking a local, state, or federal law enforcement officer. 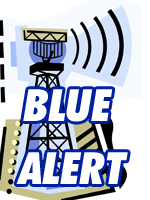 The Blue Alert system is one-of-a-kind at the national level; there is only a similar alert system at the state level to inform local communities. The National Blue Alert Program will be created within the Department of Justice, which will then handle the operation and execution of the alerts. Every day, around the country, peace officers put on their uniform and badge, and leave their homes to protect the rest of us from criminals but some never make it back. The National Blue Alert Act helps law enforcement track down and catch those criminals who harm our peace officers, bringing swift justice like they deserve.